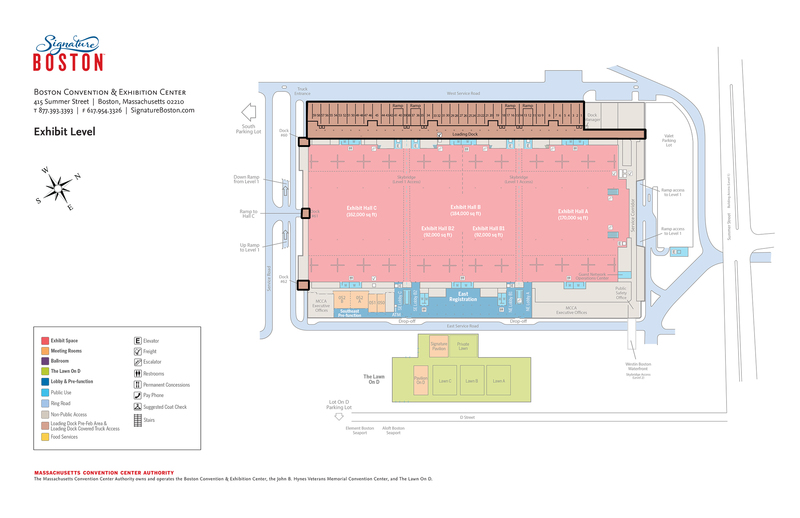 The BCEC has 62 covered loading dock bays evenly distributed to serve each of the exhibit halls, plus a separate commercial access road and a protected overhang designed for all-weather activity. 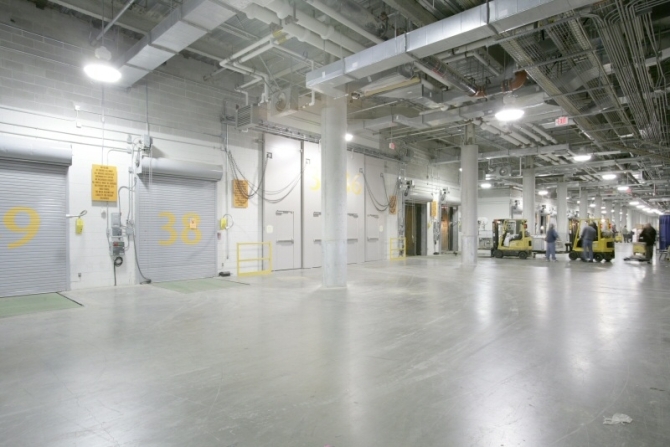 Five elephant doors allow large vehicles simultaneous drive-on access to the exhibit floor. 14 dock levelers accommodate all types of trucks and wheel sizes. 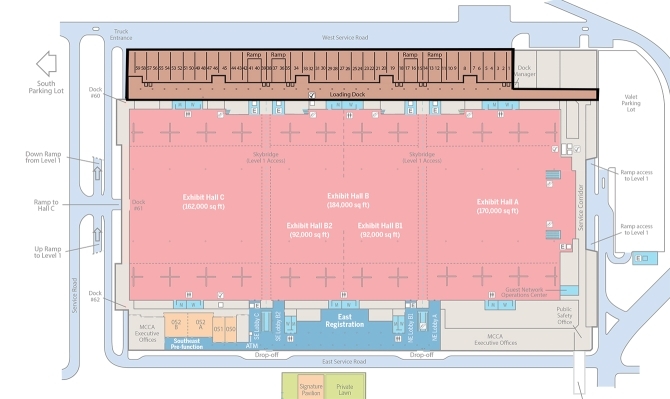 The 45-foot wide indoor pre-fab area is ideal for booth preparation. There are also opportunities for on-site marshalling and boneyard capabilities.